Jilda had a late class tonight so she sent me a text and asked if I'd fetch dinner. So I was off like a shot to get Chinese food. We're fortunate because we have a really good restaurant about 10 miles away. I called ahead and although they were packed, my food was ready so I was headed home in record time. 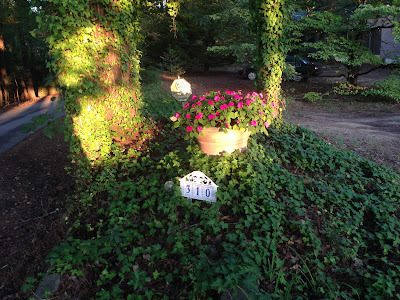 When I pulled into the drive the yard was in shadow except for a beam from the setting sun that somehow found its way through a thicket of pine, sweet gum, and hickory trees to highlight the barrel of impatiens at the entrance to our drive. I pulled in and tried to snap the picture through my truck window, but the truck blocked the sunlight and spoiled the shot, so I pulled further into the drive, parked and walked back to snap the photo. There you have it. 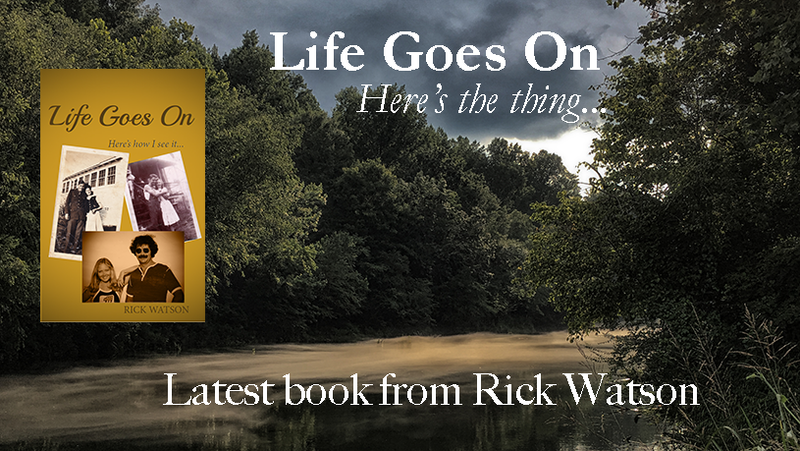 My sad little update for Thursday, September 10, 2015. I wish my eyes were as observant as yours. 10 miles is a long way to drive with a bag of spare ribs, egg rolls, low mein, and chicken and snow peas. The aroma would make me pull over and steal a few bites! And I'd miss the picture opportunity as well. I love it when Mr. Sun says, "HEY, LOOK AT THIS!" This was not sad at all. You captured a ray of sun in your otherwise darkening world. It was a joyous occasion. And a good picture. What's sad about it-sun dappling on beautiful flowers welcoming you home-how nice is that! I love Chinese food and I used to make mine from scratch. Now I don't eat soy so I miss it so much. Love that pretty photo of the flowers.